The MST FR-F Drift Tire is recommended for both 2wd and 4wd applications and is available in a variety of compounds to suit the surface you are running on. The tire features a rounded edge, with raised letters on the sidewall that give the tires a super scale look. 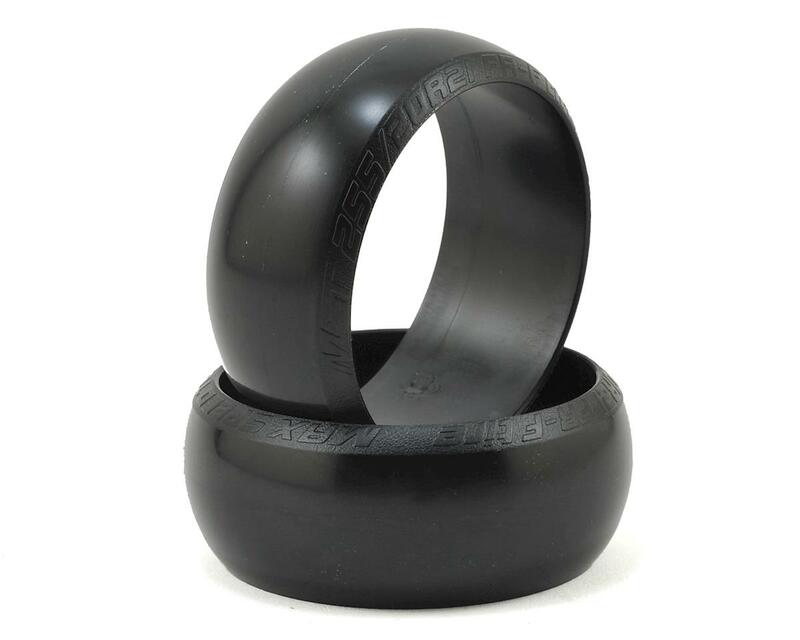 This is a 26mm wide, -30°/+25° camber tire that features a heavily rounded contact patch. 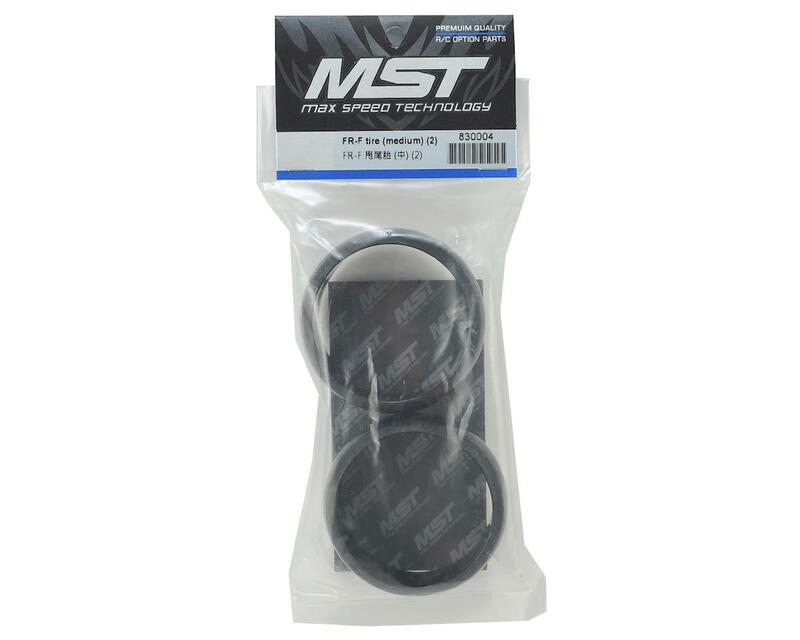 This tire is recommended for use with MST wheels. Package includes two tires.